Indian Royalty and jewellery are a package deal. It was not just the women whom adorned themselves; the men were not to be left behind either. Jewellery was a way of establishing the structure and hierarchy in the household. Whilst many Indian royal households had their own jewellery makers -usually families who had for generations been the allocated jewellery makers for the particular household and had passed down their skills on the craft for generations, Indian royalty were also partial to many European jewellery designers and makers. Cartier was the personal jeweler to many Indian Royal Households. Bhupinder Singh of Patiala for instance commissioned pieces from the House of Cartier who created the famous “Patiala Necklace” which ranks as the most expensive piece of jewellery in the world. It consists of 2,930 diamonds. If this was not enough for the Maharajha of Patiala he also commissioned for his wife, Rani Yashoda Devi a splendid ruby and pearl necklace. Alongside Rani Yashoda Devi, this feature shall focus on four Maharanis (queens) who were known for their glamour, sense of style, and their astonishing jewellery collection. She was the consort of Jitendra Narayan, Maharajah of Cooch Behar and before marriage was also a princess of the Baroda state. Renowned for her social grace and sartorial sense she is largely credited for the trend of wearing silk chiffon saris and making them a royal statement. One of her favorite western designers was undoubtedly Salvatore Ferragamo. 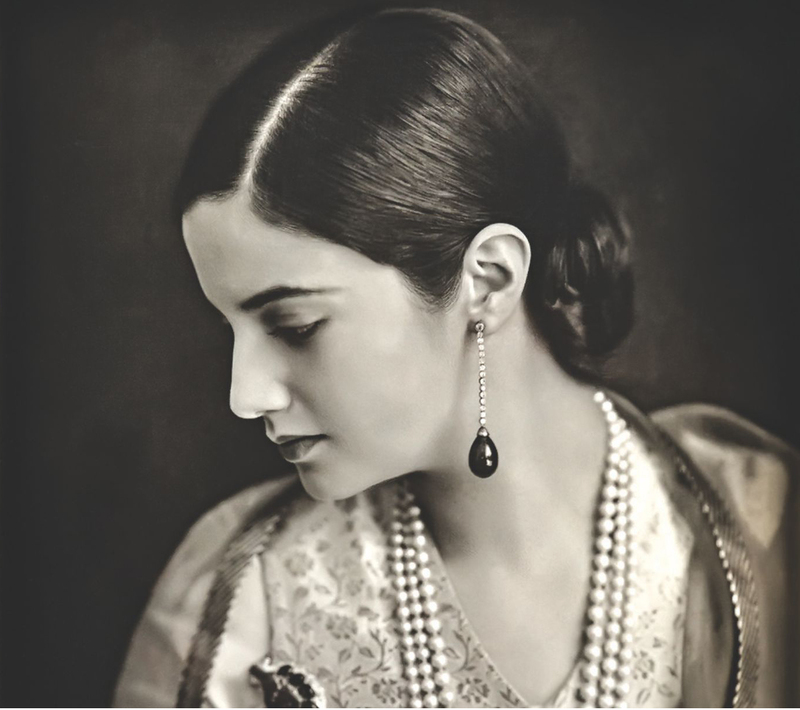 In his autobiography, he had stated that once an order was placed to him by the Maharani for 100 pairs of shoes and among them an order was placed to make one of them out of diamonds and pearls from her own collection. It was no surprise that jewels were adorned on clothing and shoes too. Vogue magazine called her a “secular goddess” and Look magazine named her as one of the five best ladies on the planet. 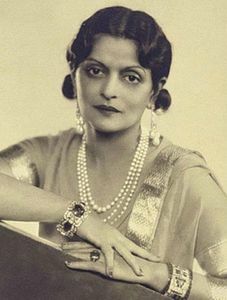 The Maharani’s preferred couture was Mainbocher who was more famously known for designing the wedding dress of Wallis Simpson when she married the Duke of Windsor. Mainbocher was commissioned by the Queen to design chiffon saris and fur coats. Indeed it were these saris that she travelled with (some estimates go by 15,000 saris for one of her travels). Her jewellery collection was staggering. The Baroda pearls being one her most famous items. It is a seven strand necklace of priceless Basra pearls. Her preferred jeweler was Van Cleef and Arpels. She took her opulence and love for jewels so seriously that she got the jeweler to make her gold tongue cleaners. An entertaining anecdote which reveals the extent of her opulence took place at the Waldorf Astoris in New York. On seeing a pair of her former diamond and emerald anklets on the neck of the Duchess of Windsor she made sure to let it be known that whilst everyone was admiring the necklace she had worn the very piece on her ankles! The Duchess of Windsor promptly returned the piece of Harry Winston! 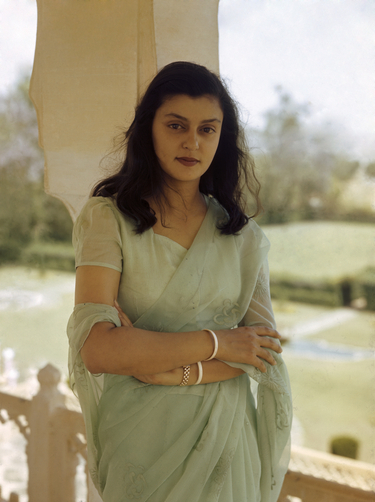 Perhaps the most famous Maharani who was a global icon. Being the daughter of Indira Devi of Cooch Behar, it is no surprise that she inherited her mother’s grace, sense of style and her love of chiffons. 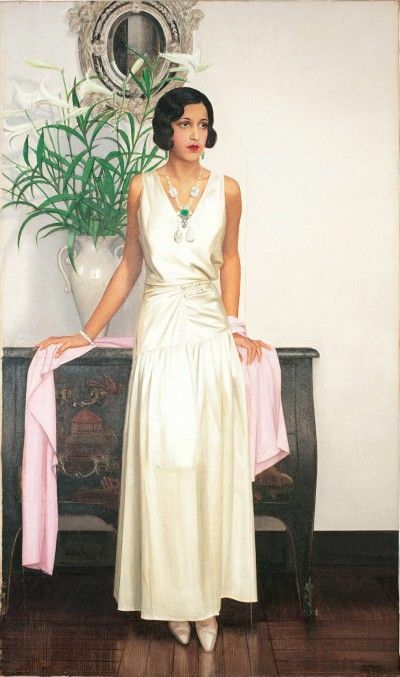 Her jewellery collection was heavily influenced by western contemporary designs and a string of pearls were her favorite which eventually became her trademark. 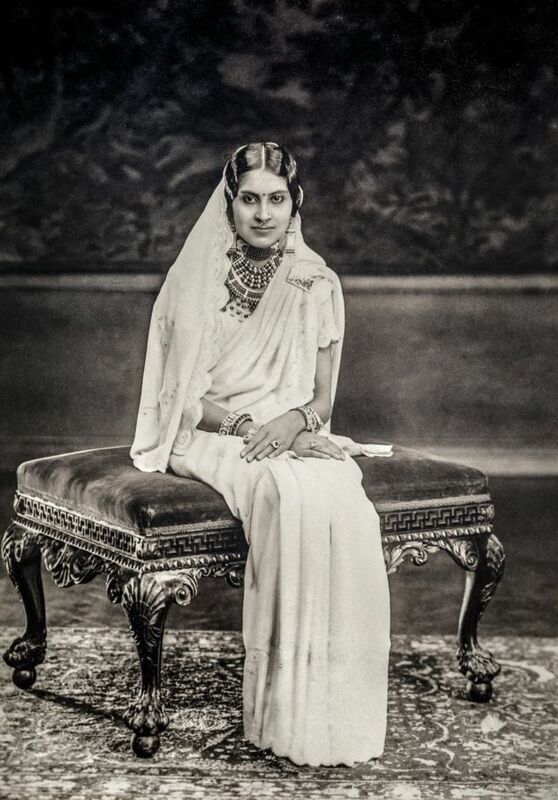 In later years when the Raj was abolished, the Maharani often relied on her expensive jewellery collection , a lot if being Cartier to finance her lifestyle. Clive Kandel , a jewellery historian who had met the Queen on various occasion states in his blog that he was once presented with a shoe box of earrings by Cartier and was asked to take his pick of one – the proceeds of which would go towards paying one bill or another. He ended up purchasing a two inch pineapple ear clip. The Maharani and her husband, Yashwant Rao Holkar II spent so much time in Europe that in many ways it that became their home. She died at the very young age of 23 but the Royal couple lived a very lavish and cosmopolitan lifestyle. Her preferred jeweler was the French jewellery house Mauboussin. Her most famous and publicized necklace had two Indore pear diamonds weighing 47 carats each that were used by Mauboussin to make a diamond and emerald necklace. In 1946 a decade after her death they were sold to Harry Winston. The Maharanis and their partiality towards European jewellery was also spurred by ego to a large extent. To show their financial might and also in a way to assert the fact they were no less in fashion, finance and wealth than their Western counterparts. Such was their spending power that the owners of these jewellery houses would personally fly to India to cater to their demands. Whatever their motives, there is no denying their eye watering jewellery collection and some historians today claim that such is their value that indeed it is incalculable.